Wallis Simpson makes me think that there may well be a God, and that He is on “our” side. I cannot imagine what the world would look like had Edward VIII remained on the throne. And it’s thanks to Wallis Simpson that he didn’t. He came to the throne in 1936 when the build up to WWII was already taking place. Hitler had firm control of Germany and was looking to expand that control further in Europe. Neville Chamberlain, British PM at the time, believed the best way to handle Hitler’s Germany was through “appeasement” – let him have what he wants and he’ll leave us alone. Edward VIII, it seems, went even further than appeasement. He and Wallis were pretty close to Nazi-sympathizers. They enjoyed socializing with high-ranking Nazi officials. Now, maybe that was Wallis’ choice more than his. It seems that she did the thinking in that family. But I believe that if it hadn’t been her, it would have been someone else leading him around by the nose. The one thing that seems very clear from reading history from that time is that Edward was a fun-loving man who really didn’t want to be bothered with heavy matters of state. So he may have fallen in love with another woman who was marriage material, but based on assessments of his personality she probably wouldn’t have been any more competent as a war-time Queen than he would be a war-time King. As unsuitable as Edward was to inherit his father’s crown, so too seemed Albert, his younger brother the Duke of York. As second in line, he’d never really had to worry about wearing the crown. An introspective man, he wanted to pursue his own interests. As Duke of York, that was just fine. He married a strong woman, Elizabeth Bowes-Lyon. She, a perfect home-grown match for a royal marriage, had been long courted by him and had refused his proposals. She didn’t want a life anywhere in the Royal Family. At that time, life as the central Royal didn’t seem a likelihood! Poor Bertie stuttered badly, but it didn’t really matter – he wasn’t going to be in a position where public speaking was a major part of the job. Then the unthinkable happened. After George V’s death, David became Edward VIII and he refused to give up the American twice-divorced Wallis Simpson. Parliament refused to waive the rules about divorced persons joining the Royal Family and there was the abdication crisis. That was a crisis for the country. Succession to the Throne had to be a familial crisis for Bertie and Elizabeth and the two Princesses. “We Four”, as the Duke of York called his family, had a good and comfortable life mapped out near the limelight and with benefits, but not in the limelight. But step up he did, and became George VI. Elizabeth became a stalwart Queen consort. Britain, still under Chamberlain as PM, engaged in war with Germany and won. George VI truly lived up to the oath that England’s monarchs take in that being King probably cost him his life. His daughter Elizabeth has gone on to be one of the two longest-reigning British monarchs ever. And she has seen the Royal Family through some spectacularly rocky times during those decades. She’s done it with grace and wisdom, just like her father and mother. I haven’t yet seen the movie The King’s Speech, but I hope Colin Firth wins the Oscar for Best Actor – for his sake and Queen Elizabeth’s. Ok, that’s my criticism. Other than that, I loved the movie. It’s the story of Secretariat’s fabulous 1973 Triple Crown win, and the story of his owner Penny Chenery Tweedy. Now, I’m a Man o’ War girl when it comes to that important question – who was the greatest racehorse of the 20th century? It’s not a decision based on any real knowledge of thoroughbred racing, just that he was the first racehorse I knew anything about. I had a put-together model kit of him when I was a kid, and it caused me to find a book about him in the library. And, even if you’re in the Secretariat “greatest horse” camp, you can’t deny the magnificence of Man o’ War, the original “Big Red”. His stride, as marked out at the Kentucky Horse Park, is still the longest of any known horse, including Secretariat. But that win by 31 lengths! Nothing has ever been seen like that. I didn’t see the actual race. I was living outside North America and didn’t have a tv set. I’ve watched replays since but, thrilling as even that is, I cannot imagine what it felt like to actually see the race not knowing what the outcome would be. By 1978, after Seattle Slew and Affirmed won back-to-back Triple Crowns, I felt that having a Triple Crown was pretty exciting but not particularly unusual. I never imagined that it would not be done again for so many years. No horse, before or since, has won even one of the individual races that make up the Triple Crown in such a spectacular fashion. Especially the Belmont, the longest and most grueling of the three. Watching him is like watching a horse fly. It’s magic and majesty and pure joy. The sheer magnificence of Secretariat is why I didn’t find jarring the overvoice of a passage from the Book of Job at the movie’s beginning and end. Such beauty and strength as a horse possesses calls up reverential words and imagery. The solemnity and beauty of the words fit the magnificence of the animal, one of the most beautiful in creation. After seeing the movie, I checked online reviews. My interpretation of the use of the Book of Job is at variance with most of those I read. Quite a big deal was made of the fact that director Randall Wallace is an outspoken Christian. I did not know that going in so it didn’t influence my viewing of the movie. Two other scenes of the movie are focused upon as evidence of the Christian message of the director and/or Disney Studio. The choice of Oh Happy Day, as music coming from the stable radio, and as the horses are coming down the final stretch in the Belmont. The first time, when it’s coming from the stable radio, I just heard it as a popular song by the Edwin Hawkins Singers, and fitting when everybody in the scene was happy and feeling good about Secretariat and his prospects. The second use of it, in the ultimate race, I found distracting just because it was loud and I’d have rather just heard the hooves pounding on the track. Music accompanying that beautiful sound is gilding the lily. Not necessary, not an improvement. Two reviews stood out for me. One is by Steve Haskin in Bloodhorse Magazine. This is a fair and insightful review both about the movie and the story of Secretariat and his connections. He points out a number of inaccuracies and glossovers of actual fact. One he doesn’t mention is that the coin toss which decided Secretariat’s ownership was actually more complicated and dramatic. To save movie time, I suppose, it was abbreviated. 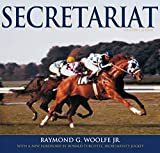 Still tense with drama, but if you want to read the real story, look for The Secretariat Factor by Tom Kiernan (Doubleday 1979). That’s where I read it, but I’m sure it’s also told in other books. The second review is by Andrew O’Hehir in Salon. He says that he wanted his review to be provocative and well, yes, it is. His reading of Secretariat is as “Tea Party-flavored” propaganda for a mythical American past when all was well. For this, he holds the director and Disney responsible for perpetuating the myths of nostalgia and inaccurate simplification. That, I believe, is hardly news. O’Hehir for sure has read Critical Theory and wanted to be sure that we all knew he had. The argument is along the lines that popular culture is a particularly effective way to create political or ideological propaganda because the consumers are entertained primarily and therefore unaware that they are being fed propaganda. Ok.
Can you, as does O’Hehir, read Secretariat as Christian right wing propaganda? Of course. Just as you can read iconoclast comic Dennis Leary’s tv drama Rescue Me as anti-Muslim propaganda. Everyone in North America developed a heightened pride in and respect for police officers and firefighters after 9/11. Leary became a well-known advocate for firefighters in thanks to them for their efforts after that tragedy. The tragedy was caused by anti-American extremists – Muslim extremists. So do the math the same way, and you can consider Rescue Me propaganda just as easily as you can consider Secretariat right-wing Christian propaganda. O’Hehir argues that the movie’s negligible mention of the social and political upheaval in early 70s America is evidence of its propaganda/mythologizing of the past. Maybe it is. Maybe, too, those events didn’t directly affect the lives of the people whose story this is except through the schoolgirl political activism that is shown. Like O’Hehir, I lived through that time period, but my conclusions on the inclusion of sociopolitical context differ from his. I don’t think you need to cram in historical context just because it exists. Not if it doesn’t fit with your characters’ story. As a teenager at that time, I was aware of what was happening in the US. I was active about it at about the same level of political acuity as Mrs. Tweedy’s daughter. My social concern got about the same kind of attention from my parents as did hers. It wasn’t that my family was living in a rarefied zone of privilege and wealth.Nor were they unaware of political and social events. It was that they had their hands full just getting on with their own lives without worrying about other people and cerebral political notions. I think perhaps the same thing would have been true for the Tweedy-Chenery family. It may not be any more complicated than that. Mrs. Tweedy was a housewife with four kids and ailing parents. She had enough on her plate. If I asked my mother, I think I’d get the same answer. Anyway, I loved the movie Secretariat. Steve Haskin said that the actor horses didn’t “capture the majesty and physical presence” of Secretariat but that there “isn’t a horse alive who could’ve done justice to him”. Secretariat is a feel-good story with a happy ending (except, of course, for Secretariat’s main competitor, the magnificent Sham , who made him run the race he did). And Secretariat’s story is not told in its totality in the movie. How could it be? What is told, however, is worth watching – and cheering and crying.